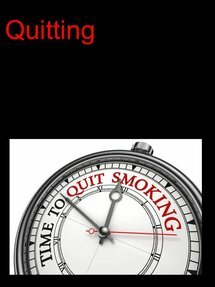 Quitting follows four friends in a garage band who decide to quit smoking cigarettes a week before their first gig. Little do they know what is about to befall them. Mark, loses the love of his life, while Allen, Barry, and Tony, find theirs. Or do they? Four guys, one week, zero cigarettes. How hard can it be?